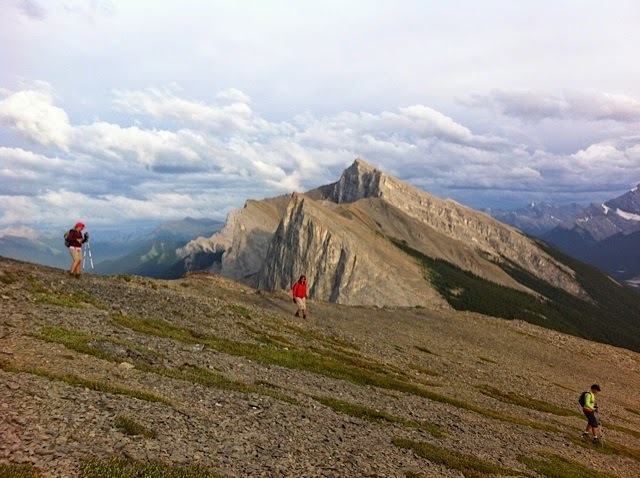 Family Adventures in the Canadian Rockies: A Rocky Mountain Style Spin on "Girls Night Out"
Earlier this spring, I sent out an email to a dozen girlfriends suggesting the idea of a weekly girls’ night out. I explained that I didn’t want to go out for coffee, start a book club, or watch movies together. I wanted to climb mountains and figured we could catch up on the week’s gossip and parenting challenges on the drives out to the trailhead. Lisa climbs her FIRST mountain ever. While pregnant. Yay Lisa! A New Group of Friends Was Formed! 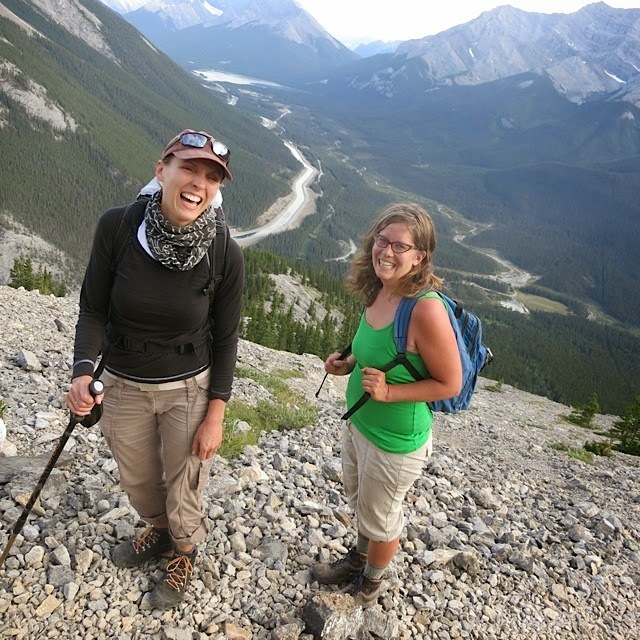 We discovered that climbing mountains was so much more rewarding than going out for coffee! We Grew Stronger With Each Hike We Did!! We Perfected the Mountain Selfie! We found some pretty sweet places to hang out and chat! We Worked on Team Work! A lot of group effort was required to get to this viewpoint! We got a break from kids, families, work and life. And somehow we always got back down by dark. 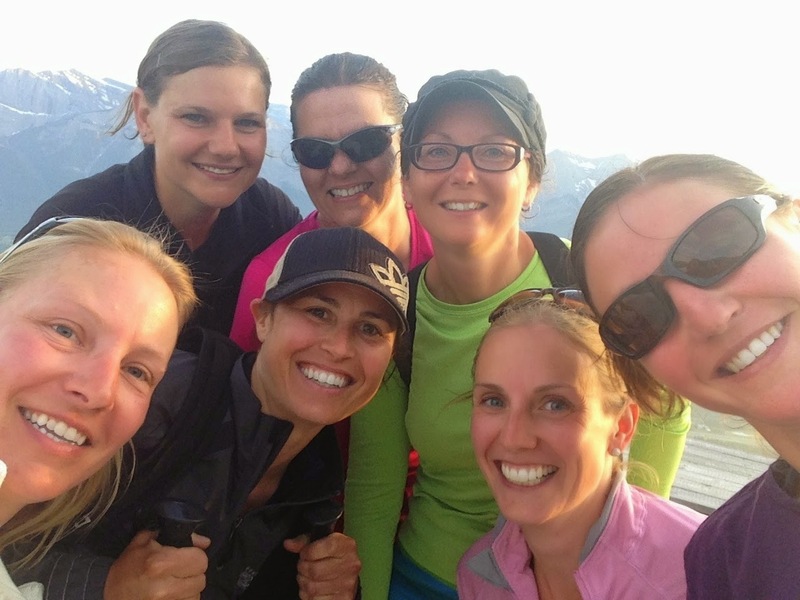 I've written all about our adventures and provided some tips on how to form your own girls' night out hiking club in my newest story for Women's Adventure Magazine. To read the full story, go to Girls Night Out, Women's Adventure-Style. I'll also keep you posted on our big ski weekend this coming winter! So far we have 27 girls signed up to come and we've booked an entire hostel for our adventure. Pretty Awesome Way to Spend a Summer Evening! Big Thanks To Keen Canada for making my summits possible with a great pair of boots. I tried a couple pairs of boots out this summer but quickly settled on the Marshall Mid WP boots and was blister free 90% of the time - which is saying a lot for my feet! What a spectacular version of "Girls Night Out"! The photos really show the fun and fitness. I especially love the one in which all together you look like a rainbow!